[News] Careless World Tracklisting is Revealed... Pre-order Now! 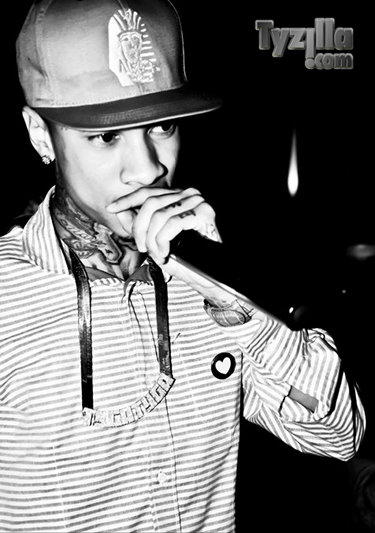 Below you can find the official tracklisting for Tyga's upcoming album Careless World. The tracklisting was released without features, but I filled in the ones I already know. Also, "Still Got It" was not mentioned in the tracklisting so it must be on the delux version. Pre-order and view tracklisting below. Enjoy! 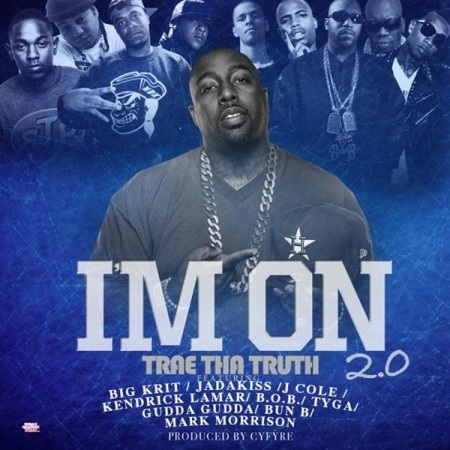 Trae Tha Truth remixes the classic track "I'm On" and grabs some of the hottest MC's in the game. The Cyfyre produced track features Big K.R.I.T., Jadakiss, J Cole, Kendrick Lamar, B.o.B, Tyga, Gudda Gudda, And Bun B. Download/Listen below. Enjoy! 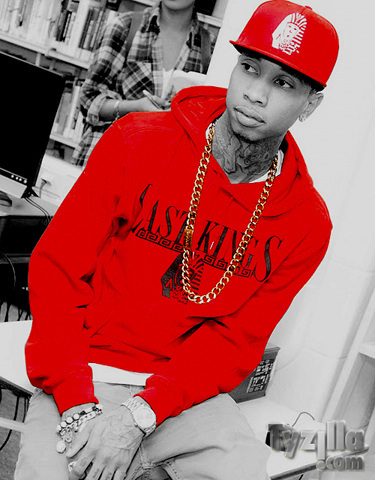 Iam from PLNDR speaks with Tyga about snapbacks, Last Kings, jewelry, gambling, and swagger jackers. Read the Interview after the jump. Enjoy! The Rack City Remix is finally here! Tyga grabbed Wale, Fabolous, Meek Mill, Young Jeezy, and T.I. for the official remix. It's clean but it will do for now. Tygaman also added a new verse of his own. Download/Listen below. Enjoy! Update: Just got the dirty version in. Download/Listen to the dirty version below. To view venues, dates, and to buy tickets click HERE. All tickets will be available to purchase by January 28th. You can read Tyga's interview with XXL Magazine about collaborations with Nas and Nicki below. 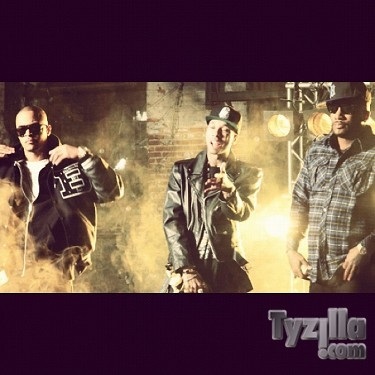 Mun2TV presents Tyga, Wale, and Fabolous behind the scenes of the first half of the Rack City Remix shot by Alex Nazari. T.I., Jeezy, and Meek Mill will also be featured on the remix. 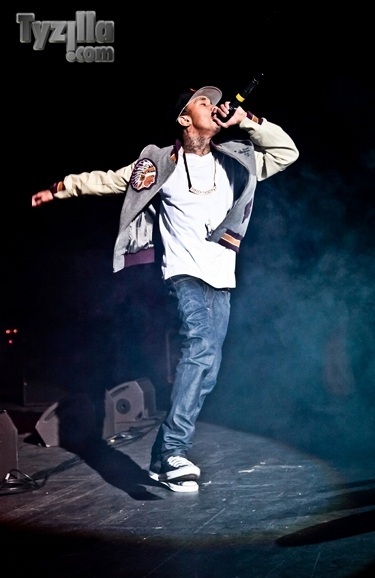 Tyga tweeted today that him and Chris Brown are planning to do a "Fan of a Fan" album. More details on the album should be released soon. In other news Careless World be released February 21th. This date was set by the label and I'm thinking this will be the last push back. Still no sign of pre-orders, tracklisting, or tour dates, but should be up VERY soon. Stay tuned! Heres a couple pics from the Rack City Remix video shoot. 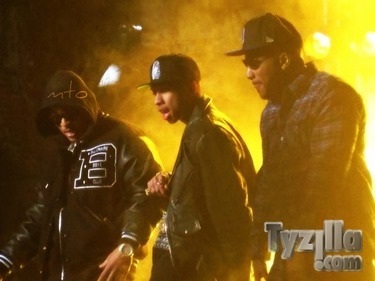 The Remix will have Tyga, Wale, Fabolous, Jeezy, T.I. and Meek Mill. I'm hoping Tyga will be adding a new verse of his own for the Official Remix. View more pics after the jump. Enjoy! Tyga does an interview with Complex covering lots of things, including his album, starting riots, haters, rack city remix, and the possibility of getting on the Ellen show. You can read the interview after the jump. Enjoy!